New Delhi: Smoke from the bursting of crackers has not only affected the air quality but also the lungs and hearts of many people in Delhi with a 15 percent rise in the number of patients visiting AIIMS due to cardio-pulmonary problems. Night-long Diwali revelries left the capital city polluted this morning, as the air quality took a sharp plunge and entered the ‘severe’ zone, triggering health complications. At the All India Institute of Medical Sciences (AIIMS), there was a rush of patients, complaining of heart and breathing problems, as compared to the average number of people visiting the facility before the festival, doctors said. 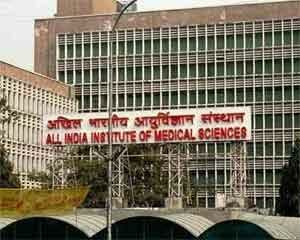 “There has been a 15 percent rise in the number of people visiting the AIIMS after Diwali for cardio-pulmonary problems. And, in the next 24-48 hours, more patients can be expected with such health issues,” AIIMS Director and noted pulmonologist Randeep Guleria said. At the Safdarjung Hospital too, many patients turned up, complaining of coughing and respiratory issues. At the Sir Ganga Ram Hospital, where 15 cases of burn injuries were reported, four patients with breathing difficulty came to the casualty ward, the hospital authorities said.